LG’s G7 ThinQ to be launched in early May. April. 11, 2018 07:52. by Jae-Hee Kim jetti@donga.com. LG Electronics announced Tuesday that its next strategic premium smartphone would be the LG G7 ThinQ. ThinQ is LG’s brand associated with artificial intelligence (AI), and it is the first time the brand has been linked with the G series. The launch events for the flagship will be held in New York and in Seoul in early May. 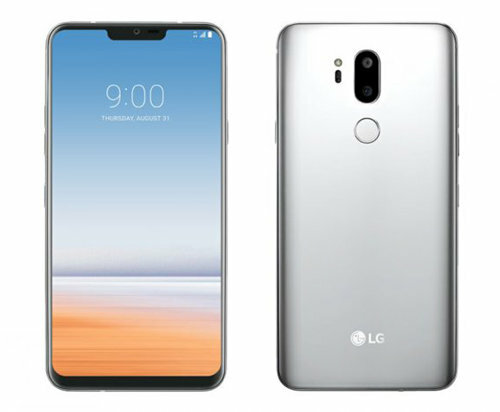 The name of LG’s next flagship and the timing of its announcement have garnered special interest from the industry as the company previously stated that it would not be constrained by the existing brand names and release dates. Some even speculated that the company may drop the G series from the name but the new device keeps the G7 name with ThinQ added on for emphasis on its AI functions. The G7 ThinQ features enhanced AI capabilities. AI capabilities will be improved in frequently used smartphone features such as camera, voice command, and synchronization with other devices. “The new device will include a feature that eliminates the process of downloading and registering on different apps for each appliance and enables control of all LG appliances with a single app,” said an LG representative. It is expected that the G7 ThinQ will be the first LG smartphone to have a notch. A notched design refers to a design that covers the entire front of the smartphone except the sensor, camera, and speaker with a display, thus minimizing the bezel. Apple attracted attention for being the first to apply this design to the iPhone X. The G7 ThinQ is known to have a 6.1-inch LCD screen and be powered by the Qualcomm Snapdragon 845. LG will unveil the G7 ThinQ on May 2 at the Metropolitan West in Manhattan, New York City. At the open launch event in South Korea to be held on May 3 at the Yongsan I’Park mall in Seoul, the company plans to offer a presentation on the new device and hands-on experiences.